It is such a cliche to say don't take anything for granted, be grateful instead, bla bla bla. The fact is that we hear sayings so many times a day (blame Blackberry Broadcast Message for that) they feel so lame and worn out. These pictures (all prices are approximate) show how fruits that I got so easily (and cheaply!) in Indonesia cost an enormous amount of Dirham that I don't want to spend. Papaya. IDR 67,500 per kg. 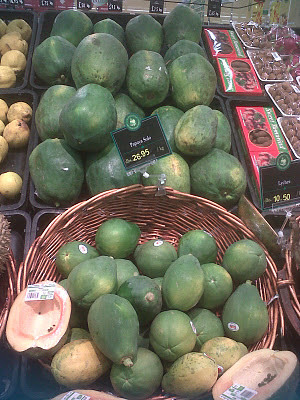 In Indonesia: IDR 3,000 per kg. Coconut. IDR 20,000 per piece. 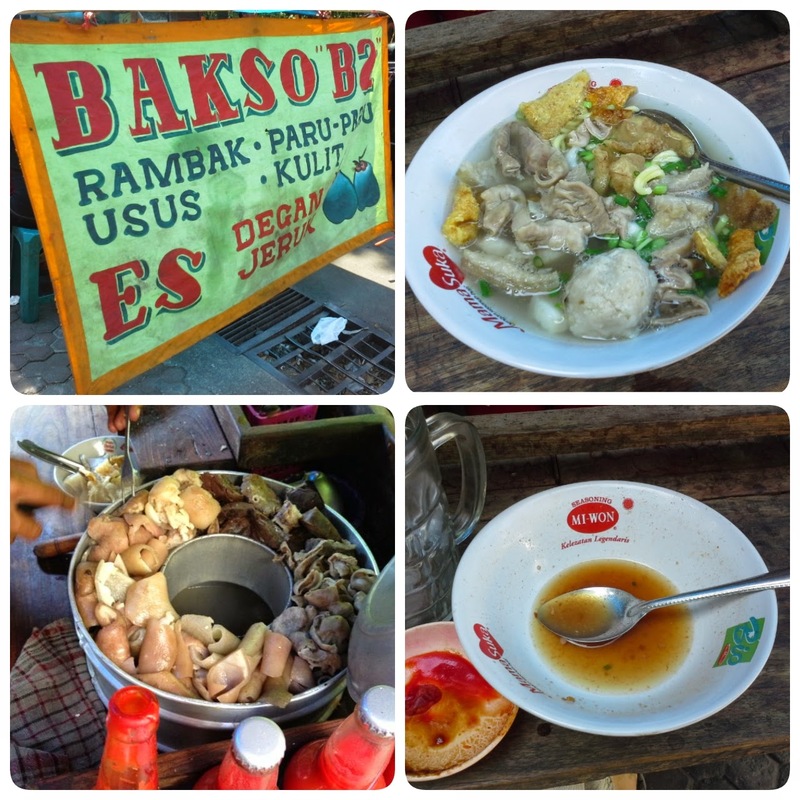 In Indonesia: IDR 5,000 per piece. Rambutan. IDR 42,500 per pack. Durian. 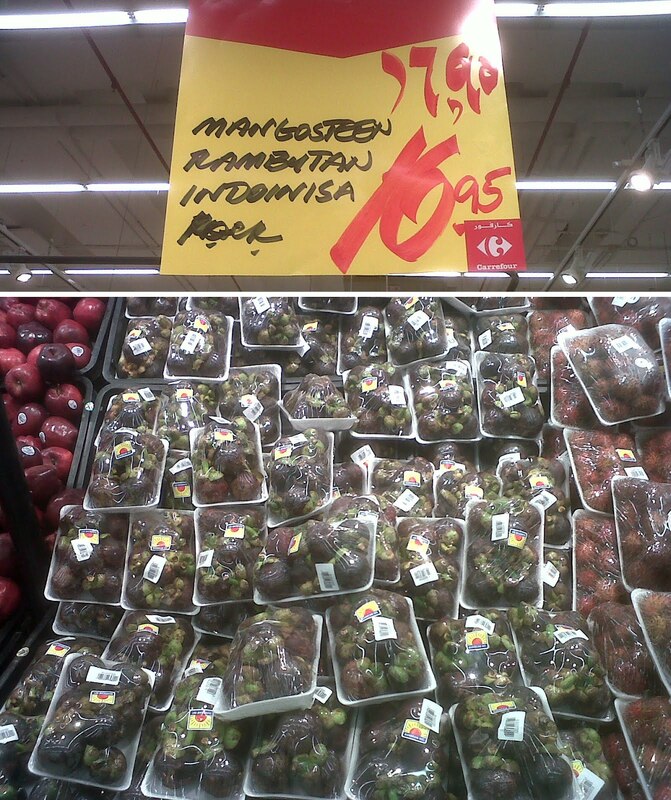 IDR 90,000 per kg. 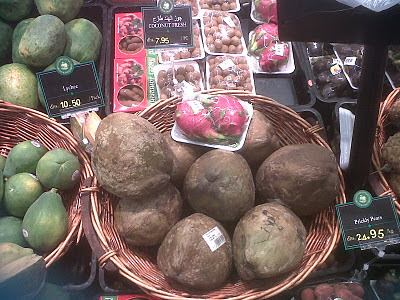 In Indonesia: IDR 20,000 per kg. Crazy, eh? 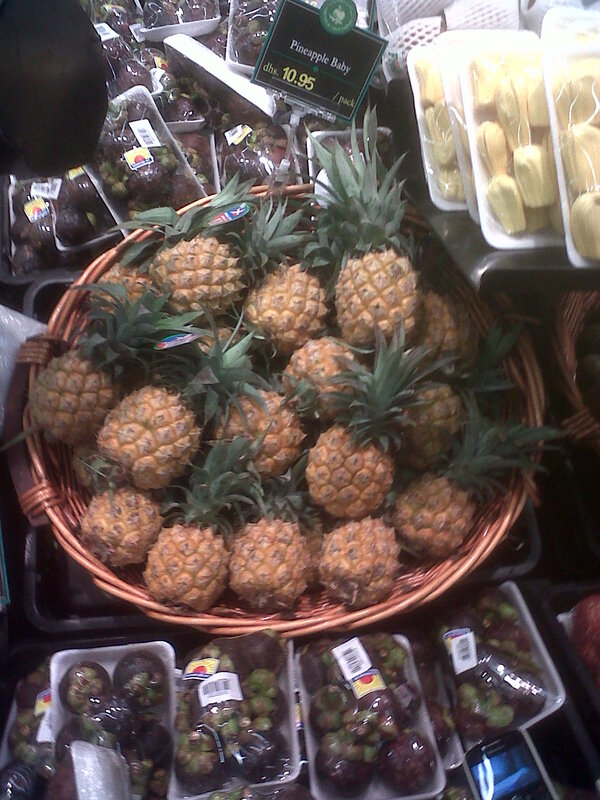 They say that all fruits here are imported. But look at the prices! 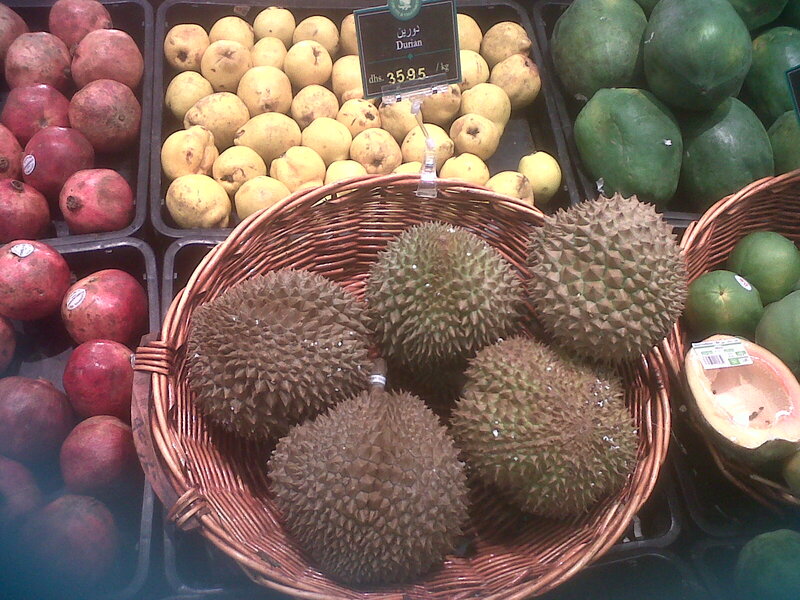 Fruits from Southeast Asia are so exotic and expensive here in the desert. 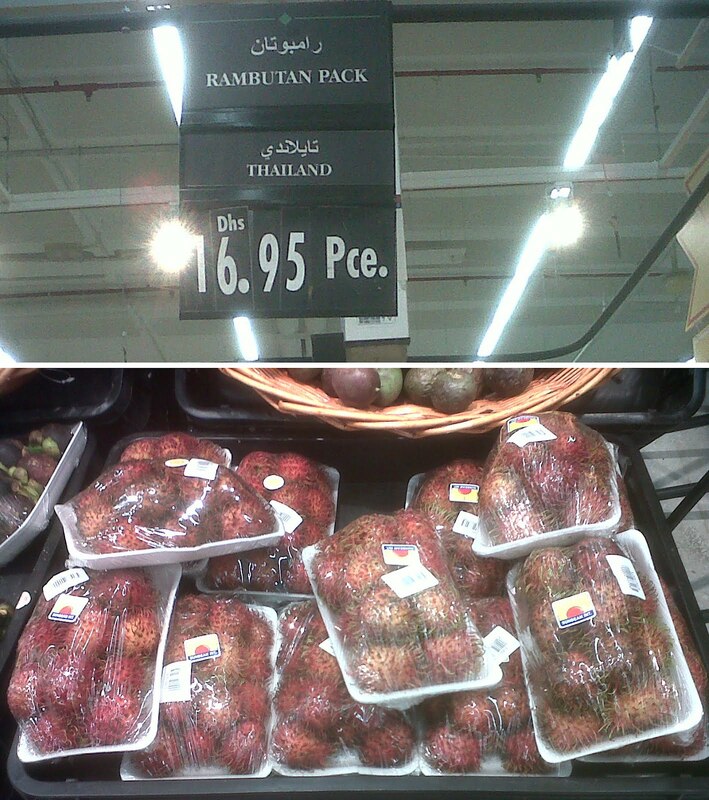 No longer will I take fruits for granted when I go back to Indonesia! I will eat all the papayas I can lay my hands on! Hi prettyinpink! Every time I see market vendors throw their veggies and fruits, I want to pile them up and bring them home for my always hungry turtles! LOL.